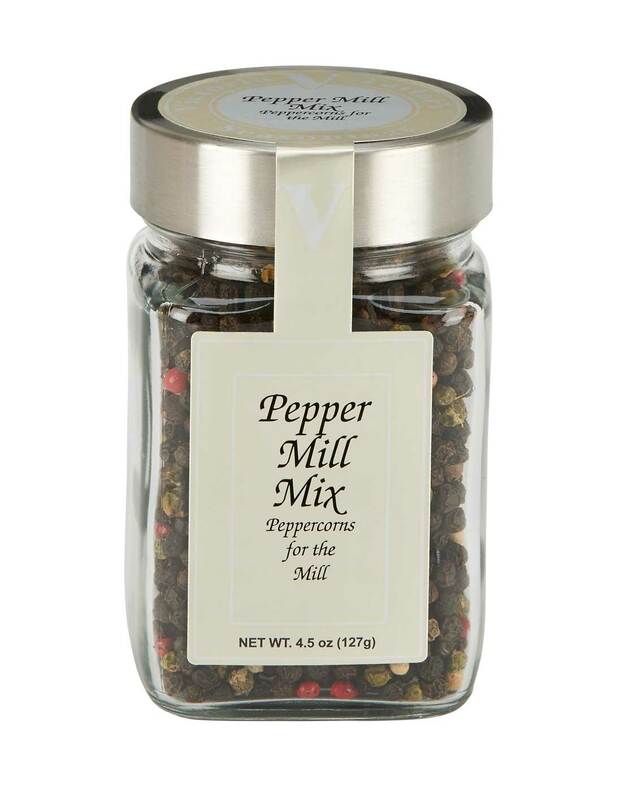 Victoria Taylor's Pepper Mill Mix is a perfectly balanced combination of four different peppercorns, accented with the mildly sweet and soothing flavor of allspice berries. These peppers for the mill are colorful and one of our most popular items. Use this mix in our recipe for Beef Tenderloin with Peppercorns Crust and Shallot and Cognac Glaze to create a classic dinner party favorite. For a more casual meal, try our recipe for Filet Mignon with Mustard Peppercorn Crust. This product contains pink peppercorns. Pink peppercorns have been known to cause an allergic reaction to those allergic to tree nuts.